Demo version of Goodbye Deponia , a(n) adventure game, ENG, for PCs and laptops with Windows systems. Free and legal download. Enjoy! English demo version of classic adventure game with a point click &- Goodbye Deponia. Demo the defendant played the entire first chapter of the game, and also become acquainted with the initial part of the second chapter. 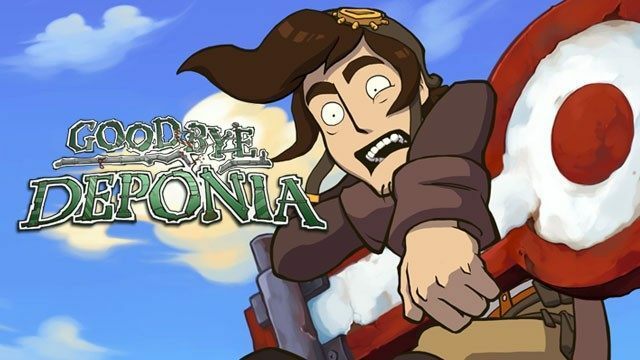 Goodbye Deponia is the last part of the trilogy Deponia, created by German studio Daedalic Entertainment. A common feature of all part of the cycle is pretty, hand-drawn 2D graphics, hero-Rufus, as well as the title planet, covered with all kinds of rubbish and waste.